Acts of devotion tend to arise from religious beliefs and observances, but at heart there’s something deeply secular about them. Why do we admire someone who unselfishly devotes their time to the wellbeing of someone else? We admire them because there’s something precious about the time they forfeit to perform the act, because there’s real value to the time we are allotted in the span of a single life. But if the value of a resource is a byproduct of its scarcity, then implicitly we’re aware that the time given over to an act of devotion is finite, dwindling moment by moment, never to be reclaimed. Devotional acts are ennobled by the recognition, conscious or otherwise, that there are no second chances in this life and no eternity to make up for lapses — that an irretrievable quantity of existence has been sacrificed for the benefit of a person other than the one to whom it belongs by default. 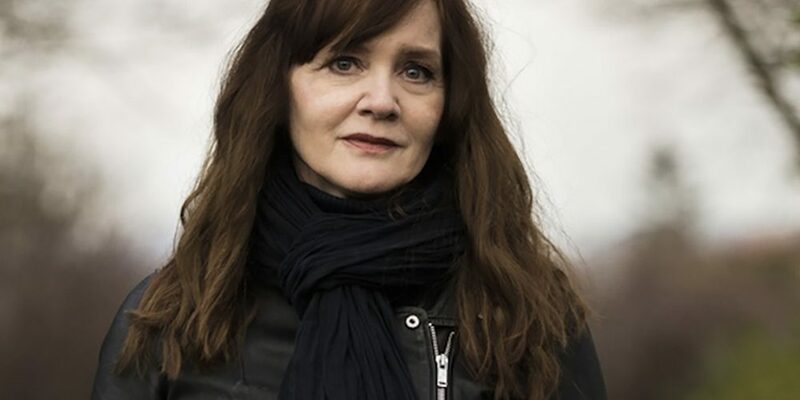 People who define themselves through these acts on these secular terms — people who arrange their lives around an imperative to devote their energies, unreligiously, to the wellbeing of others — are repeatedly the people depicted in the books of the Icelandic novelist Auður Ava Ólafsdóttir. Auður’s most recent novel, Hotel Silence (trans. Brian FitzGibbon), is cut from the same cloth as the two that have come before it, The Greenhouse (2012) and Butterflies in November (2013). In each book, a protagonist facing an existential crisis flees home and embarks on a journey to a far-flung destination. In each book, the catharsis the protagonist expects to find on the journey comes instead from an unexpected source: a sudden need to assume guardianship over someone or something vulnerable to the hostilities of an indifferent world. The protagonist, in each book, is a broken person who in fact needs to be taken care of by someone else, but instead claws their own way out of crisis by committing themselves to devotional acts for the benefit of others. These protagonists don’t exactly heal or repair themselves, or rebalance the lives they led before their flight into the unknown. Rather, each of them finds that a life of secular devotion is a palatable, meaningful alternative to the life that he or she has lost. It would be a stretch to call Hotel Silence the third book in a trilogy, since it requires no knowledge of Auður’s earlier work, but it is the third iteration in a series of books united by these common concerns. It’s no exaggeration to say that being a handyman is central to Jónas’ sense of self. He is constantly appraising infrastructure in need of repair, and even when he indulges in sentimental musings, reminiscing on the birth of his beloved daughter, he employs a handyman’s lexicon: “when I think of beauty I nevertheless think of 4,252 grams and 52 centimetres”. The problem for Jónas, however, is that he has recently discovered that his daughter isn’t actually his. She’s in her twenties now, and the two of them have always assumed that he is her true father, but actually he has come to learn that his wife was unfaithful to him in the earliest days of their relationship. This knowledge triggers an identity crisis in Jónas, and the above list of personal attributes is a result of it; he puts the list together as he researches ways in which he might commit suicide, taking his cue from famous writers. “I’ve passed the dying age of artists”, he concludes ruefully at the end of his investigations, accepting that an everyman like himself can’t simply follow Ernest Hemingway’s lead and “shoot himself with his favourite rifle” because “[o]ther laws apply when you’re just ordinary”. But even so, with his selfhood in tatters, Jónas remains unable to shake the urge to die, and through his conversations with his elderly, almost senile mother he finds an unlikely solution to his problem. His mother’s “hobby” (to use Jónas’ word for it) is an obsessive interest in global warfare over the last several centuries. “Since you came out of your mother’s womb”, she tells him, “there have been 568 wars” across the world. With remarks like those, she inspires Jónas to place himself in the centre of a conflict zone. [s]ixty-three countries and regions soon emerge as potential candidates… [and] I choose a country that was in the news for a long time because of the battles being waged there, but has vanished from the spotlight due to a cease-fire a few months ago. The situation is said to be precarious, and it is unclear whether the cease-fire will hold. people started to vanish from the face of the earth, journalists, university lecturers, artists. Then ordinary people from next door. People weren’t prepared for the need to adopt the right opinions about the government. Entire families disappeared like they’d never existed. … Suddenly the country was crammed with weapons and one day the war was here in a flash. All kinds of stories were being told and no one could work out what was going on. … We didn’t know who we were supposed to believe because everyone said the same thing, that they had been attacked by the evil forces out of the blue. Everyone said that the enemy had killed women and innocent children and showed photos of the victims. Everyone said there was no choice but to defend themselves. When a supposedly suicidal man is faced with remarks like these, it’s not difficult to see where his story might be going. The confrontation with vivid, omnipresent death diminishes Jónas’ will to take his own life. “In the land of death”, he comes to realise, “there isn’t the same urgency to die.” Probably he never seriously wanted to die in the first place; if he did, and he had sixty-three destinations to choose from, then surely he would’ve opted for an active war zone rather than a place where a ceasefire — however tentative — has come into effect. Ultimately, though, Hotel Silence isn’t especially interested in the whys and wherefores of Jónas’ change of mind. Its real interest lies in the energies that drive him to self-destruction, and in finding ways for these energies to be redirected into acts of devotion which finally bring meaning to his life and make it something worth holding onto. Jónas is a handyman. The Hotel Silence is almost in ruins. For Fifi and May, the brother and sister trying hard to run the hotel, the future looks bleak indeed, destitute of real possibilities. The same is even more true for May’s infant son Adam, a young boy so traumatised by the war that he refuses to speak and remains largely uncommunicative. Through a conscious act of devotion, Jónas could use his skills as a handyman to repair a damaged building and, in the process, to repair the lives of the people who shelter in it. He, himself, is one of those people. What’s peculiar about Auður Ava Ólafsdóttir is that she structures her narratives so that their rhythms replicate the devotional acts of her protagonists. The Greenhouse, Butterflies in November, and Hotel Silence all begin as fairly madcap, manic novels which find their protagonists in turmoil, lurching from upheaval to upheaval, bombarded on all sides by miseries and misfortunes. The Greenhouse opens with a young man, Lobbi, having recently become a father after a one-night stand with an unfamiliar girl; then, in quick succession, his mother is killed in a car accident, his elderly father is left to care for his autistic younger brother, and when he leaves him for a foreign land he is struck by appendicitis. Butterflies in November opens with an unnamed translator accidentally killing a goose on the same day that her husband decides to leave her; then she wins an improbable lottery, comes into possession of a campervan, is involuntarily assigned custodianship of her friend’s deaf son, and heads off with the boy on a road trip around Iceland. In both novels, however, the outlandish antics come to an end about one-third of the way in. Both books are structurally lopsided, and the remaining two-thirds of each are devoted to acts of devotion. When Butterflies in November takes to the road, the change of location pares away all the narrator’s distractions and allows her to concentrate solely on looking after her young ward. In The Greenhouse, Lobbi escapes his worries at home to sequester himself in a monastery, somewhere in mainland Europe, where he tends to a rare breed of rose in a secluded garden. The devotional acts of the characters are mimicked by a narrative structure that first accosts the reader with a rush of bizarre events, then yanks away the dynamic weirdness, moves the characters into a confined setting, and devotes attention to the comparably mundane minutiae of their new and mostly static situations. Hotel Silence shares the same structure. Of its two hundred pages, the first sixty take place in Iceland as Jónas goes about his business, following his discovery of the truth about his daughter, while the rest of the narrative takes place in the war zone under ceasefire. What basically happens in the final two thirds of the novel is a lot of waiting: other characters wait around for their situation to improve, and Jónas waits around to see if he’s ready to commit himself to helping them improve it. This protracted waiting ties in thematically with Jónas’ ambivalence towards taking his life. 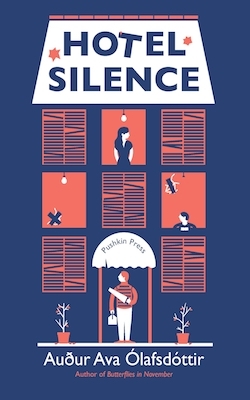 May, one of the accidental proprietors of the Hotel Silence, expresses a longing for springtime to return to her country, but there’s nothing she can do except wait for its arrival. Jónas feels an urge to reassure her that it will come, eventually: “Should I tell this young lady who dreams of hearing the pitter-patter of rain in a tin bucket that soon something green will grow here again, out of the dust, just wait and see?” Earlier, though, Jónas thinks of the springtime as a spur for suicide, not a release from it: “At our latitudes”, he says, “people mostly kill themselves in the spring. People can’t bear the idea of the earth renewing itself. Of everything starting anew except themselves.” The implication seems to be that if May needs only to wait for springtime to brighten her life, Jónas needs only to endure it in order to lose his willingness to die. Passing time can effect a change in mood as surely as it brings about a change in seasons, and much of the last two-thirds of Hotel Silence involves characters simply marking its passage while these changes unfold at a glacial pace. I can’t tell this young woman, who has been through so much to survive with her son and younger brother under showers of bombs — in a country in which blood flows through the river beds where firing squads passed a few weeks ago, dying the water red — that I have come all this way to kill myself. I can’t explain to these people that I’ve come here with my toolbox to set up a hook [and] I can’t tell her — after all she’s been through — that I’m going to saddle her and her brother with the chore of taking me down. My unhappiness is at best inane when compared to the ruins and dust that lie outside my window. But Jónas’ retreat from suicide really begins simply via the exchange of identities, when he learns what to call the young woman who helps to run the Hotel Silence. “Our relationship has become personal now”, he says when she gives him her name. “That means I can no longer impose myself on her by killing myself on her watch.” It’s not the difficulty of suicide itself that turns Jónas away from his planned course of action; it’s the effect that his actions would have on May’s sense of dignity, the degradation she would be forced to endure as she cleans up after his death. Since his concern for May stems from the sense that his being has become entangled with hers through their proximity to one another, what ultimately rescues him from his own ill will is only this: an awareness of the worth he possesses in the eyes of someone with whom he shares a quiet space. But he isn’t able to see this worth in himself until the time he spends in her company makes him recognise her worth first of all. If all this sounds rather like an elaborate dramatisation of the famous last scene of Voltaire’s Candide (1759) — a retreat from a chaotic world to a private space, a declaration that each of us “must cultivate our own garden” — then that’s probably no accident on Auður’s part. Much the same description could apply to The Greenhouse, which revolves around the literal cultivation of a garden and was published in French under the title Rosa candida (2012). Ultimately, Hotel Silence isn’t as rewarding a novel as The Greenhouse, mostly because, compared to the confused and naïve Lobbi, Jónas is mature enough and capable enough to think through his alienating situation. In addition, he doesn’t have his whole life ahead of him, and he doesn’t have a newborn child dependent on his actions, and these two factors significantly lower the stakes for any misapprehensions or errors of judgment he may make. But Hotel Silence is more carefully constructed than Butterflies in November, less wacky and whimsical, more compact and focused. In Brian FitzGibbon’s deft translation, the prose is terse without being so dour that it becomes demoralising; there’s a briskness to its pace, and an ease to its idiomatic expressions, even when it dwells on harrowing issues and events. 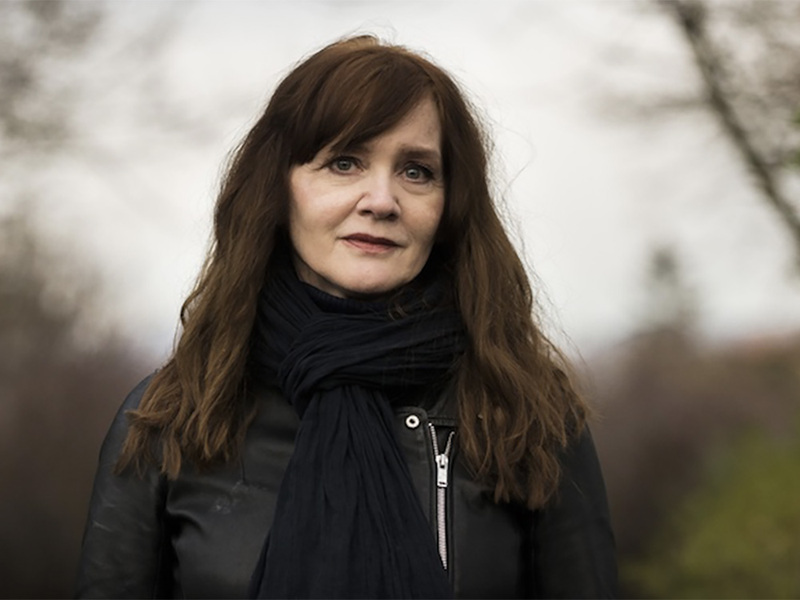 On the whole, the novel shows what Auður can do when she injects a streak of dark sobriety into a narrative that is, for all its outlandishness, quite wholesome, aspiring to a surreal sort of optimism. It’s a rare artist who can build dramatic events not from deceitful plots and disagreements between parties, nor from outright chaos and conflict, but from conscious, dedicated acts of generosity and goodwill. For readers as yet unfamiliar with Auður Ava Ólafsdóttir, Hotel Silence offers an opportunity to see this strain of artistry in practice while dovetailing with an earlier novel that exemplifies it better. For those already impressed by her track record, the book confirms Auður’s stature as reliably one of those artists — one as seriously, staunchly devoted to her purpose as any of the people she makes her art about.